As we also reported earlier this year, the Greek Golden Visa Program might get expanded. A detailed proposal has just recently been submitted to the Greek Parliament. If approved, several new ways will open to international investors for gaining EU residency. Invest EUR 400,000 in a company that has its base or a headquarter in Greece (it cannot be a portfolio investment company or a real estate agency). Invest EUR 400,000 in a real estate agency through acquiring shares in a share capital increase (the company has to be aimed exclusively at Greece). Invest EUR 400,000 in a business holdings company for acquiring shares exclusively in companies that are based or have headquarters in Greece. Purchase government bonds worth EUR 400,000 from a local credit institution, and keep them for 3 years. It is not yet clear if after the maturity period of 3 years the bonds have to be redeployed. Make a bank deposit of EUR 400,000 in a Greek credit institution for at least 12 months. Invest EUR 800,000 in shares, corporate bonds or Greek government bonds that are traded in regulated markets. Invest EUR 400,000 in a Greek or EU real estate corporation that is interested in investing exclusively in Greece. Since its introduction, the Greek Golden Visa became more popular every year. Since 2014, the number of investment residents in Greece have been steadily growing, from 400 to ca. 700 in 2017. In light of this, the announcement of Elias Athanasiou, CEO of Enterprise Greece, that they receive 50 applications daily comes a bit shocking, and is even doubted by some. 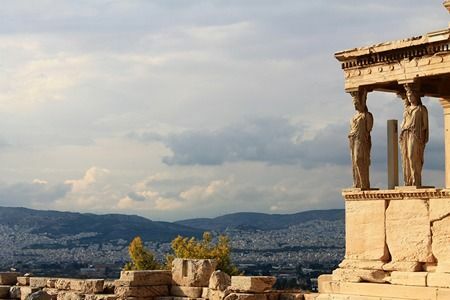 However, with its straightforward process, relatively low investment amount and short application period, the Greek Golden Visa is no doubt among the most attractive investment residency options in Europe.